Our specific, comprehensive, and natural approach uses state of the art, FDA approved technology along with cutting edge protocols that is focused on sufferers with headaches, neck pain, disc issues , and TMJD problems. We are obsessed on solutions and our procedures include 3 levels of care. Basic, VIP, and Life transformation. If you have tried other therapies, and still are suffering, call to schedule a Free consultation to see which one you qualify for. Chiropractic offers natural relief of chronic pain, headaches, disc disorders and personal injury cases. Chiropractors help newborns, infants, teenagers, adults and seniors. 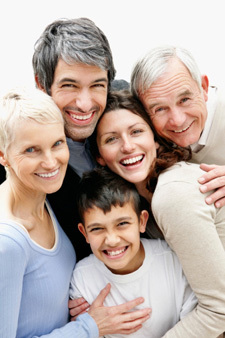 And health-conscious Palm Beach Gardens families choose Smith Chiropractic Health & Wellness Center. Our philosophy is to direct people to the realization that they are activated from within, that life and healing come from within, and ultimately that the maintenance of health is superior to the treatment of disease. Andrew Smith DC | (561) 625-1993 | In conjunction with the Head and Neck Centers of Excellence. The staff was very experienced and knowledgeable. I was having a lot of back pain and pain down my leg. After my very fist adjustment the pain I felt down my leg was gone. Very awesome. I was a skeptic, but Dr. Smith really helped with my level 10 pain. Do your research and you will find Dr. Smith is in line with what works for most people. For the first time in a while I feel there is hope for a pain free life! Thanks so much! This practice is so welcoming and makes one feel like they’ve been known forever. Thanks Cat, Flo and Dr. Smith for the great experience. Would highly recommend this practice to anyone. Friendly staff and Dr Smith instilled confidence in me that he would be able to help me in a short period of time. God Bless you and your practice and thank you for picking me up when I was down. Don’t change anything…I enjoy coming in. I’m so grateful to have found you! Dr. Smith was very friendly and genuine. After my first visit I felt confident Dr. Smith is going to effectively deal with the challenges my back. Thank you for your help! Dr. Smith is a great chiropractor! Love the positivity…I look forward to my weekly visits. Opened my heart and mind. Restored my faith in health practitioners. Thank you! Dr. Smith has a vast field of treatments and has a very caring approach to your personal care. I couldn’t be more happy with the care I’ve received so far. I am completely confident and comfortable that I am being treated for my problem and not my symptoms.